A group of kitted out kayakers rest along the banks of the Colorado listening to instructions. 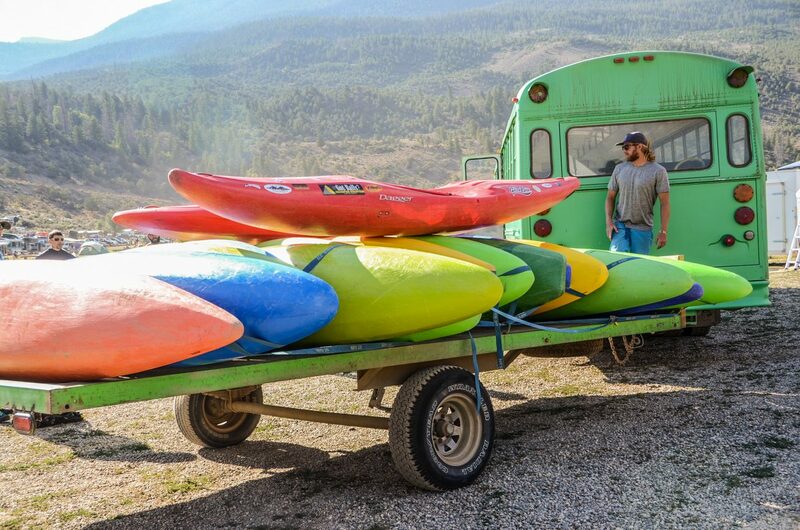 A colorful collection of kayaks sit on a trailer not far from the Colorado River during Gorefest. Dozens of tents dot the flood plain at Rancho Del Rio west of Gore Canyon. 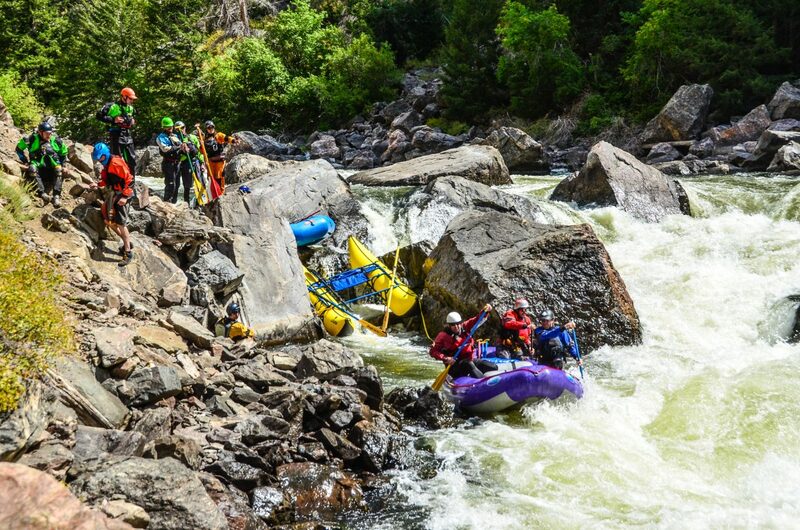 Dangers of The GoreBetween 2008 and 2018 a total of six people died in Gore Canyon.June 2009 – a 42-year-old male rafter who was not wearing a life vest drown after his raft overturned at Needle’s Eye Rapid.June 2011 – a 66-year-old female had a heart attack after falling into the water and died of cardiac arrest.July 2014 – a 67-year-old male kayaker became overturned in the canyon and drowned.August 2014 – a 38-year-old female was kayaking through the canyon. Her kayak overturned. She managed to make it to the riverbank but died from blunt force injuries after falling while attempting to climb out of the canyon.July 2016 – a 19-year-old male, who was overnight camping, fell into the Colorado River from a cliff and drowned.August 2016 – a 25-year-old male was kayaking through Gore Canyon and drowned. In the dark shadows of rock walls carved by the mighty Colorado River at the western end of Grand County there lies a stretch of river that exists as a place somewhere between legend and reality. An overwhelming sound of fierce rapids lapping against each other fills the cavernous surroundings, nearly muting any other sound. It is here where even the most skilled adventurers have their abilities tested in a dangerous, heart-pounding environment. 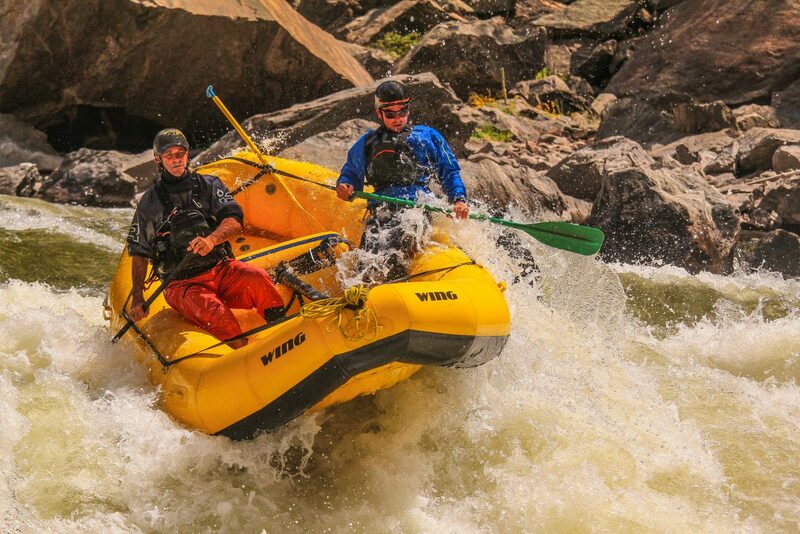 More commonly known as simply The Gore, it’s a nine-and-a-half-mile stretch of whitewater rapids that flows below the confluence of the Blue and Colorado Rivers. It ends a short distance upstream from Pumphouse Recreation Area. Despite its daunting reputation, The Gore may seem a dreamy playground of roaring waters and drop pools, hemmed in by picturesque canyon walls, but its waters are tough enough to attract — and for good reason — mostly expert whitewater athletes. In fact, being an expert is almost a requisite before settling into the gnarly waters. 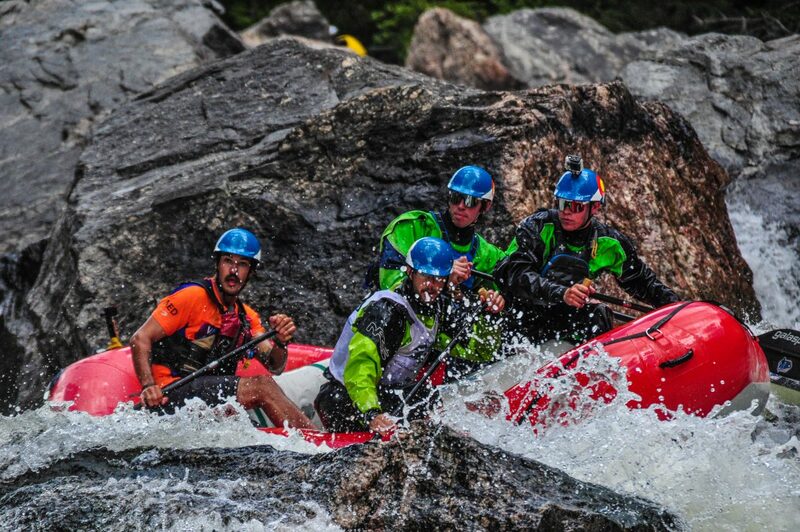 The Gore is ranked as Class V whitewater rapids, according to the American Whitewater advocacy group. Class V is defined as expert level, with the highest level of classification, Class VI, reserved for rarely attempted waters only suitable for Olympic level athletes. 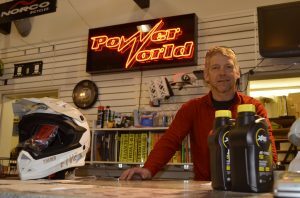 Each year, large numbers of daredevil adrenaline junkies make the trek to Gore Canyon’s put-in location, near Kremmling, with plans of tackling the dangerous stretch. The Gore gets the most attention each August when the annual Gorefest event draws roughly 600 members of the whitewater community to the area to participate in the famed downriver race through The Gore. While the experience is like few others made available by Mother Nature, it is important to understand that Gore Canyon is just as deadly as it is awe-inspiring. Over the years, its aggressive waters have claimed several lives. Just in the last decade, a total of six people have died while on The Gore; the top cause of death being from drowning. 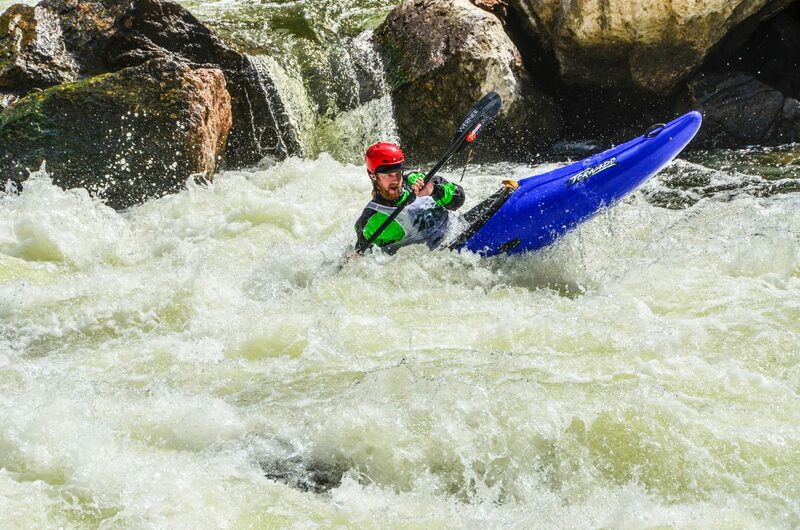 American Whitewater, a national not-for-profit advocacy group that seeks to conserve and restore America’s whitewater resources while enhancing opportunities to enjoy those resources, puts on Gorefest each year, as well as numerous other whitewater festivals throughout Colorado. 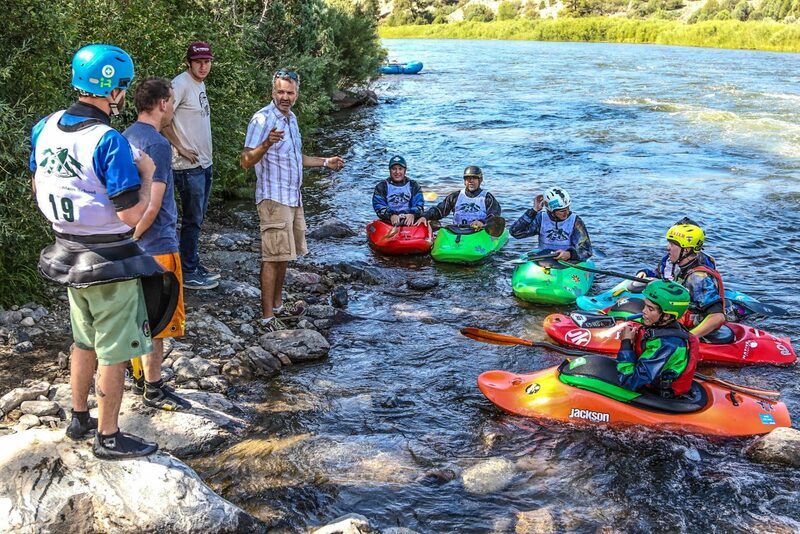 American Whitewater uses Gorefest as an opportunity to engage users of the Colorado River about the resource and educate them about the work American Whitewater does to protect its values. Gorefest is scheduled for Aug. 24 through Aug. 26 this year and will occur during the last weekend of August for the next several years. 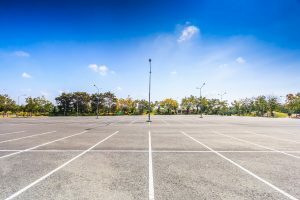 According to Fey, upwards of 600 people attend Gorefest each year and either spectate or participate in its multiple events, including downriver events requiring less skill than the Gore Canyon downriver race, the festival’s central event. The skilled kayakers and rafters who look to take on The Gore never go alone, as Fey explained. He heavily recommended anyone looking to make the run should only head out with individuals who are familiar with that stretch of the river. The Gorefest hasn’t experienced a fatality in its 30 years of existence, according to Fey, who touted the festival’s substantial safety protocols. 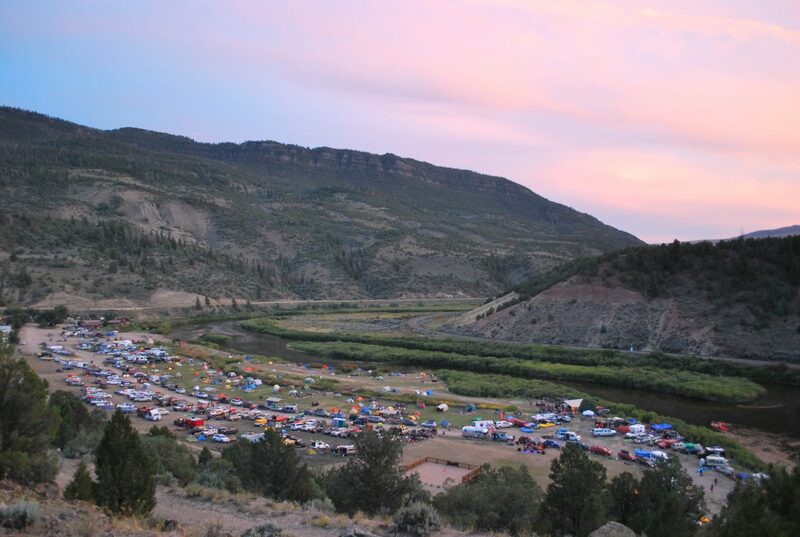 Festival organizers work with entities such as Grand County Search and Rescue and Union Pacific to facilitate the festival’s “very strong and stringent” measures. “If anything happens, we have protocols in place,” Fey assured. 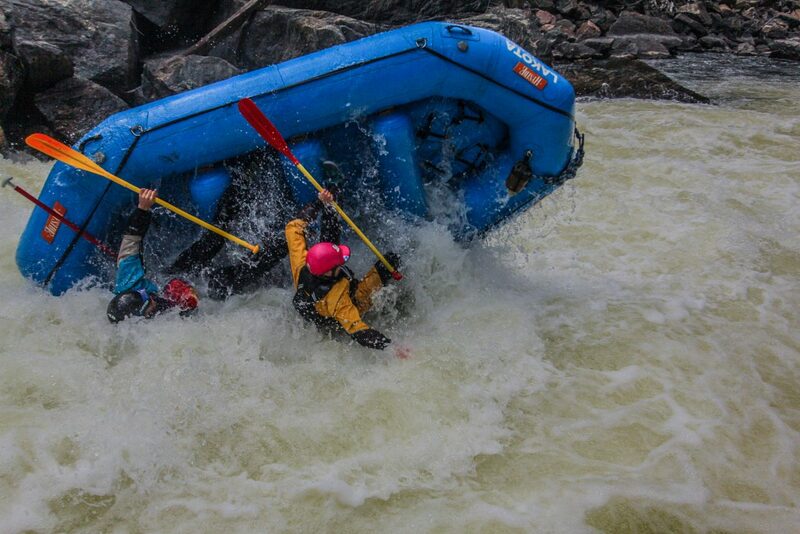 Advanced kayaker Hattie Johnson is intimately familiar with that level of safety planning required for the masses of rafters and kayakers travelling through the canyon for Gorefest. Johnson, event coordinator for this year’s Gorefest, has personally traversed Gore Canyon roughly 30 times in her life. Along with her contract work as Gorefest’s coordinator, Johnson was also a landscape architect for a company called River Restoration and worked on the team that designed the whitewater feature at Pumphouse Recreation Area, just downstream from Gore Canyon. She knows the risks of tackling The Gore. So she has worked with Search and Rescue to ensure a team of up to 40 people is present during Gorefest, prepared for the worst-case scenario. That’s for the estimated 75 to 125 individuals who actually compete in The Gore race during the festival. 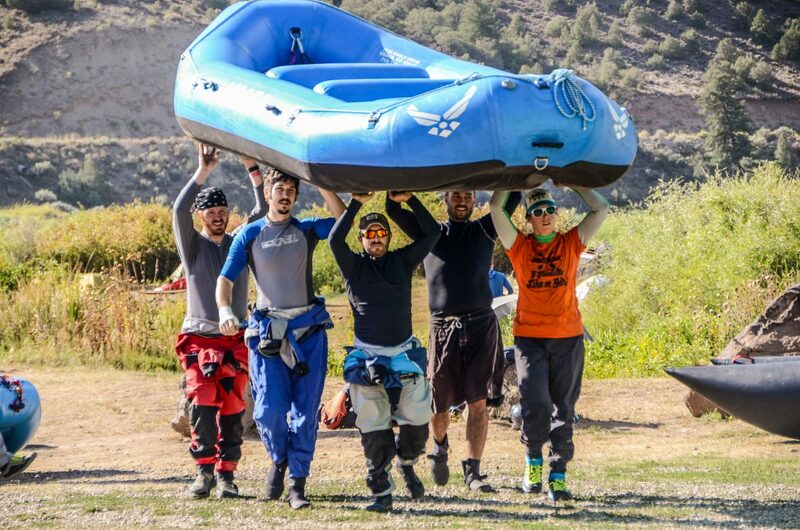 Many commercial rafting companies heed the warnings given for the legendary Gore, often requiring guests to perform a swimming test before they even allow them on that stretch of water. She re-emphasized that Gore Canyon is not at all a place for beginners. 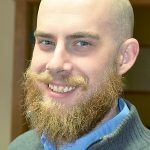 Poulin has previously served on the safety crew for Gorefest, which includes a significant team of expert volunteers who are stationed at points along the river on both the riverbank and in kayaks. Volunteers on the safety crew wait along the shore with throw ropes, kayaks and other forms of safety or first-aid equipment, ready at a moment’s notice to rescue someone in danger. 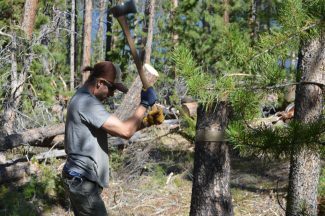 Poulin warned anyone looking to get into Gore Canyon this summer to only run the river with someone who knows the water well and to do research on the rapids they will encounter. 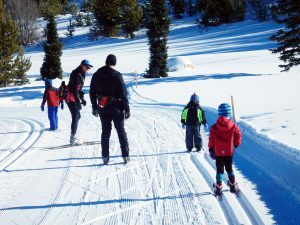 The ride through Gore Canyon includes nine individually designated rapids between the put-in location and the takeout location at Pumphouse Campground. 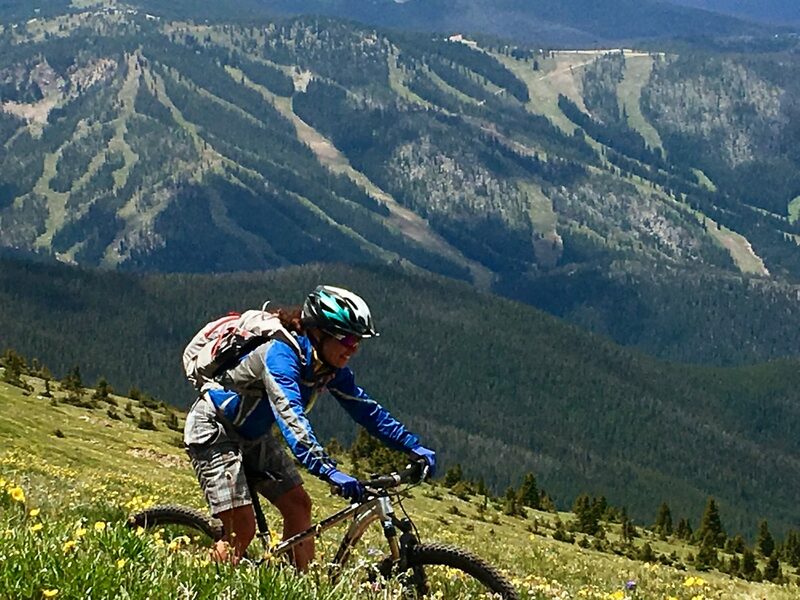 The journey begins with a surprisingly tame four-mile-plus section of essentially flat water before the intense sections of Gore Canyon are reached. The first rapid kayakers and rafters will encounter is named First Rapid, a Class III rapid roughly four-and-a-half miles from the put-in. 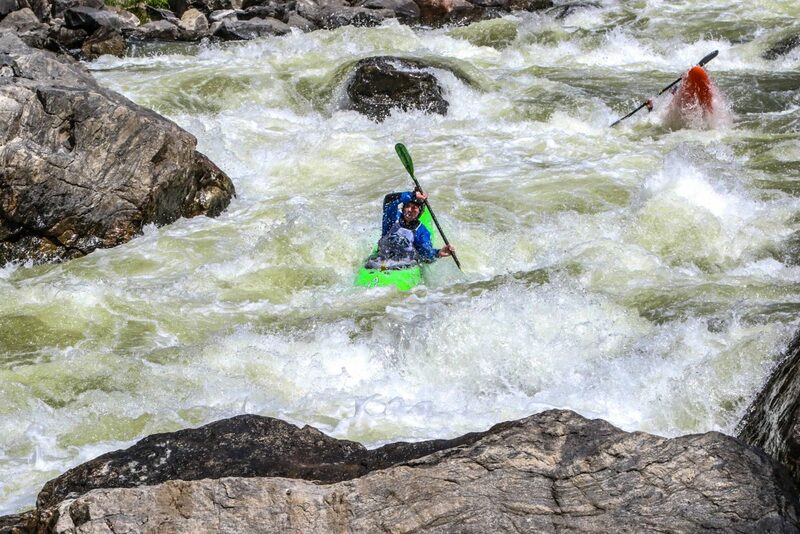 The second rapid encountered, which really marks the beginning of the serious whitewater, is called Applesauce or, alternately, Fisherman’s Nightmare. 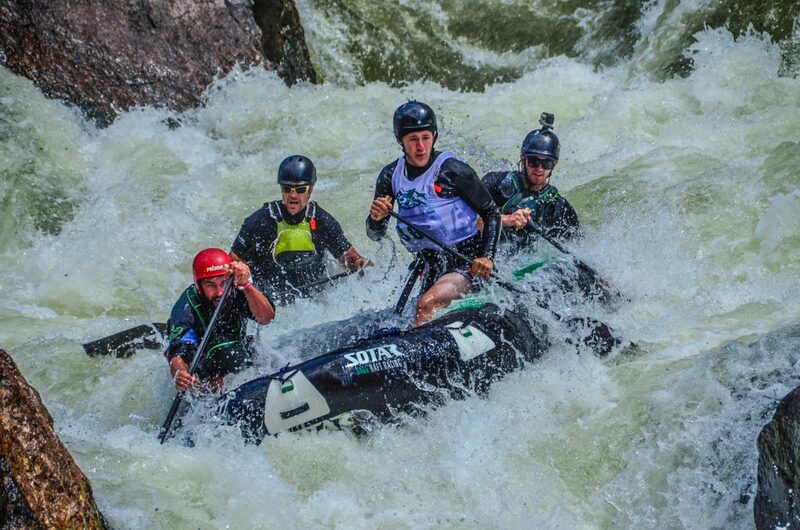 It is a Class IV rapid at the five-mile mark that American Whitewater refers to as the most dangerous rapid on the river. 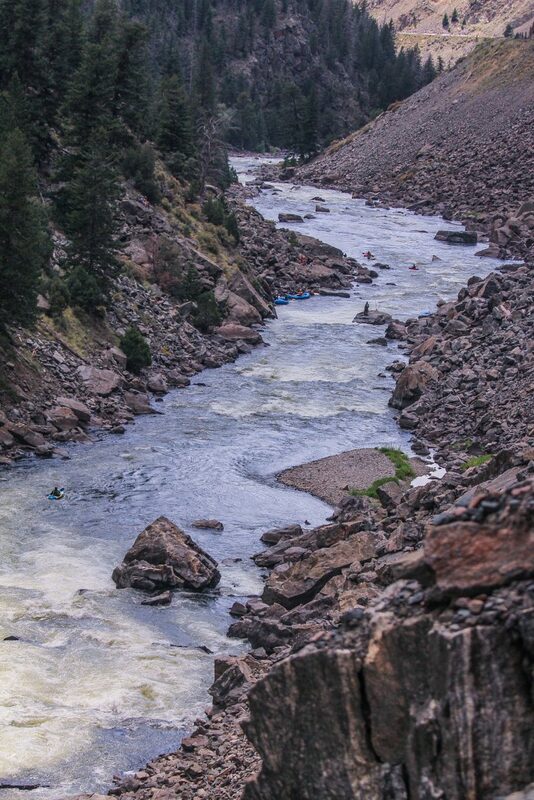 Further downriver, at the five-and-a-half-mile mark, is the Class V Gore Rapid, which American Whitewater labeled the “signature drop” of the canyon run. 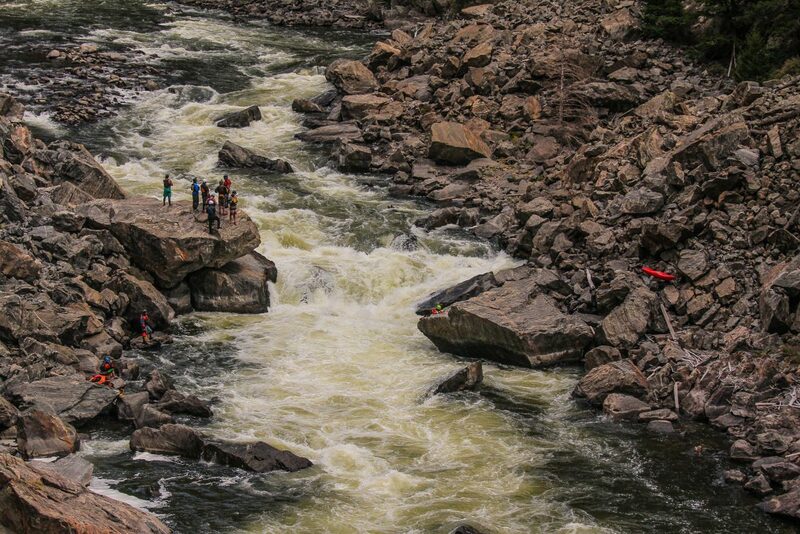 “Long with technical moves and one mean hole,” cautioned American Whitewater’s guide to The Gore. Just past Gore Rapid is the Class IV Scissors and just beyond that is the Class IV plus Pyrite Falls, a six- to eight-foot river wide ledge. A bit further down river is the Lots o’ Class IV rapid. As its name suggests, it is a Class IV rapid at the six-mile mark that contains random big holes. A mile further down the river is Tunnel Falls, a Class V rapid that American Whitewater referred to as the crux of the run for most people. Rafters and kayakers next encounter the comically named Toilet Bowl, a Class IV, the second to last rapid before the takeout. 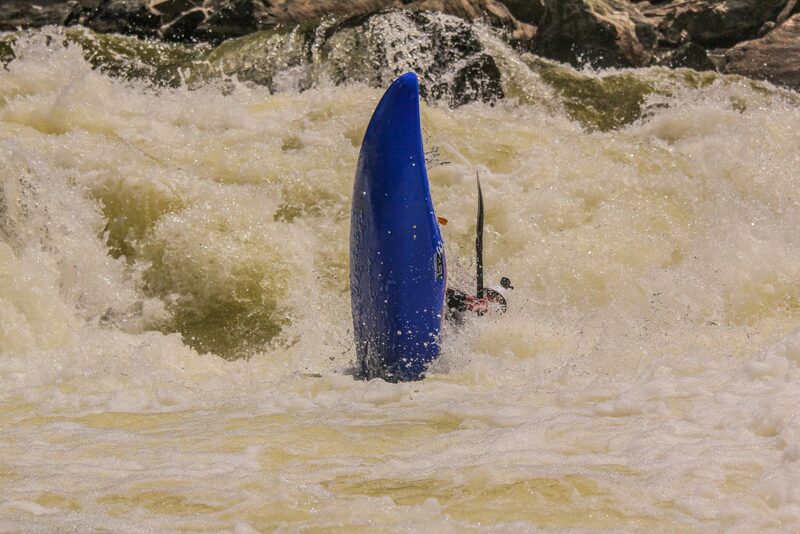 It is characterized as being the worst hydraulic on the run, according to American Whitewater. 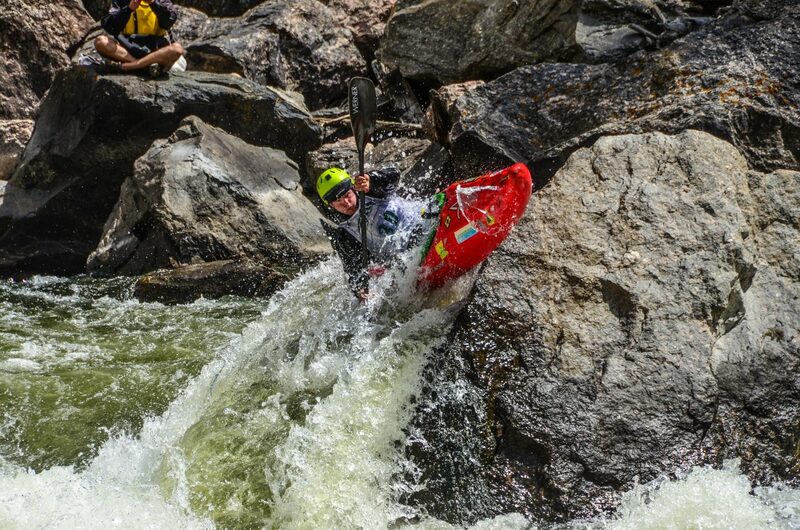 The final rapid in Gore Canyon is Kirshbaum’s Rapid, at the seven-and-a-half-mile mark. 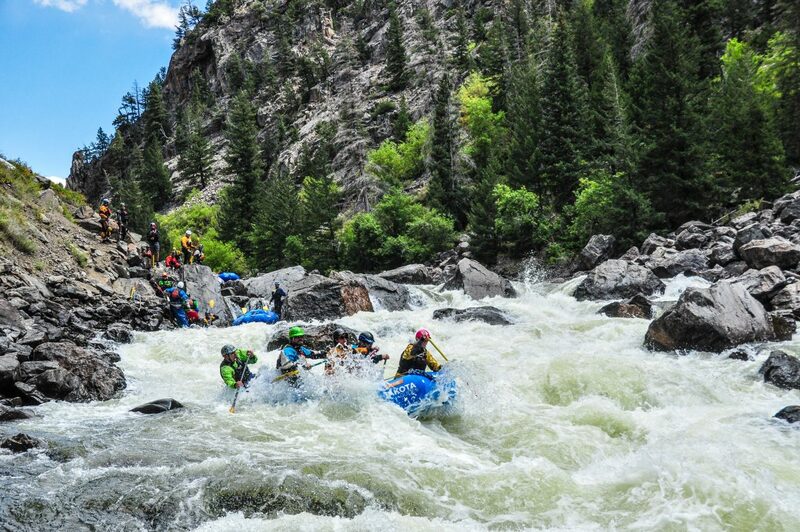 The Class IV rapid is the longest and most technical rapid in Gore Canyon. After exiting Kirishbaum’s Rapid, river runners will have a nearly two-mile trip before reaching Pumphouse. As the run concludes, it is common for the white-knuckled adventurists confident enough to endure the waters to loudly remark about The Gore’s immense thrill. At the same time they now understand the many risks associated with the legendary rapids and, likely, vow to approach it again — some day. Despite the dangers, those skilled enough to take on The Gore shouldn’t be dissuaded from embracing the risk — because the reward is great.